Trail end points: Homestead Trail at Saltillo Rd. and J St. and S. 4th St. Note: A portion of the Jamaica North Trail south of Pioneers Boulevard is temporarily closed as Lincoln Parks & Recreation works to repair severe flood damage. See the city's official website for up-to-date information and specific closure locations. 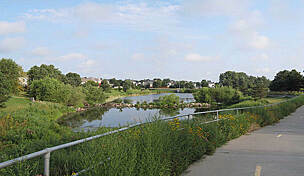 Running along a former Union Pacific Railroad corridor, the Jamaica North Trail extends from the southwestern corner of downtown Lincoln south through the city to Saltillo Road, linking several of the city's neighborhoods to various Lincoln parks and trail connections. 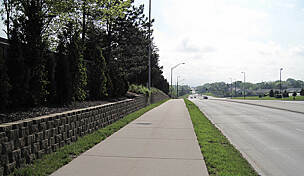 The trail's northern, more urban half features a concrete surface, while the southern stretch is crushed stone. 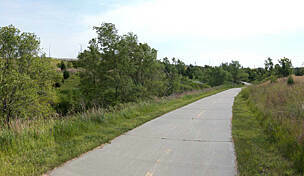 For longer excursions, the trail connects with the Salt Creek Levee Trail north of Pioneers Boulevard and with the Homestead Trail at its southern tip, providing an uninterrupted route from downtown Lincoln south to Beatrice. 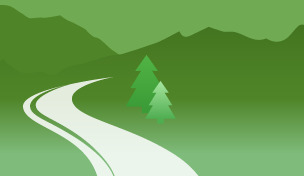 Midway along the Jamaica North Trail is Wilderness Park, Lincoln's largest park, which offers miles of hiking and mountain biking trails through dense forest and meadows. 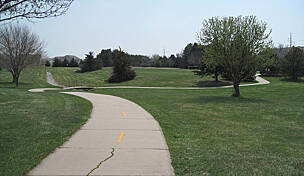 The trail also provides access to the Standing Bear and Sawyer Snell Parks, as well as Sherman Field, a historic baseball stadium. 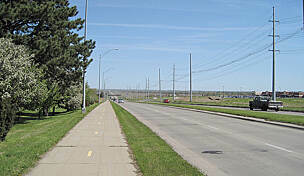 Those fans wishing to experience college or independent baseball can continue north along the Salt Creek Levee Trail directly to Haymarket Park, home of both the Nebraska Cornhuskers and Lincoln Saltdogs baseball teams. 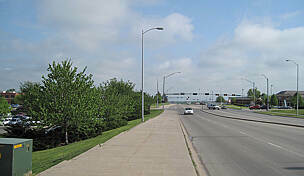 Parking for the Jamaica North Trail can be found on Saltillo Road, just east of S. 25th Street, at the trail's southern end. It has been under repair for so long! 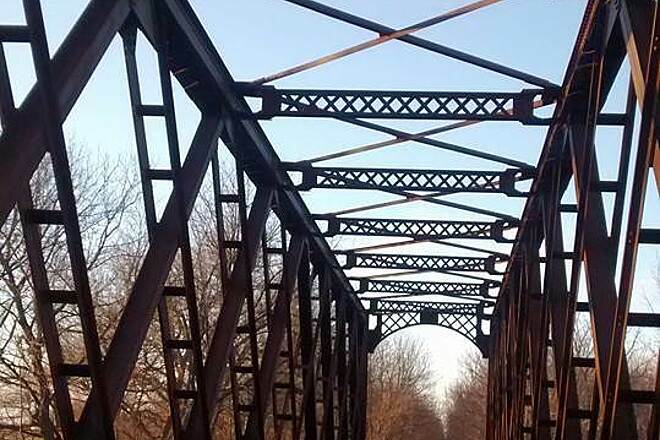 Once you leave the Jamaica Trail, heading south from Lincoln, you enter the Homestead Trail, which leads to the Blue River Rail Trail, and those are five star trails, because they are beautifully maintained! My Hubby loves the trails in Wilderness Park that you can enter at various points along the Jamaica. Enjoy! This was one of the last legs of my trip from Marysville, and I was surprised to see the trail closed signs! I went around them since I was on a mountain bike and had to get to Lincoln to catch my ride. The trail was very nice except for a few washouts. The trail was a bit overgrown, but it was a really nice experience! Didn't see any other bikers as I assume they adhered to the trail closed sign. 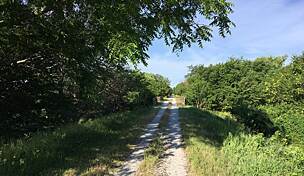 I rode this trail in early June, 2016 as part of an out-and-back three day ride south of Lincoln. Started at Pioneer's Blvd, heading south. A sign said the trail was closed, but I took it anyway. More accurately, it's under construction, or has been in the past. Doesn't look like any work on it now. 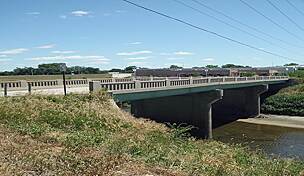 After one mile, at W. Old Cheney, there was a sign saying "Bridge Out", so I didn't chance this section. Headed E for .6 miles, then S on S 14th St for 2.3 miles, where I rejoined the trail, again ignoring a "Trail Closed" sign. From here, it's two miles of the same so-so trail conditions to Saltillo Rd., where the trail becomes the Homestead Trail. No services along the two sections of this trail that I rode. This is one of two instances (see my review of Chief Standing Bear Trail) where trail conditions were worse closer to the populated areas than in the rural areas. 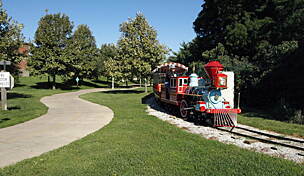 In August 2012, my wife and I traveled from Kansas City to Lincoln to ride the Homestead Trail. However, when we arrived, we discovered that the Homestead Trail had been closed three days prior, due to dangerous cracks in the trail from the severe drought. So, not wanting to waste the trip, we rode the Jamaica North Trail up into Lincoln, hooking up with the Salt Creek Levee trail. Along the way, we saw wild turkeys and deer. We rode a total of 22.5 miles round trip. The trail was well maintained, and was a mostly flat ride. We can't wait to go back and ride the Homestead Trail, which was our original plan.